Etherisc, a decentralized insurance platform startup, has today announced the launch of blockchain-enabled flight delay insurance for visitors traveling to the major Ethereum conference Devcon3. The insurance, underwritten by Atlas Insurance PCC Limited, will automatically reimburse travelers via smart contract when flights fall behind schedule. Exclusively offered to Devon3 attendees, travelers to Cancun will have the opportunity to become one of the first individuals ever to be covered by a licensed insurance company on the blockchain. Policies will be facilitated by an Ethereum smart contract, allowing travelers to share the risk of a delayed or canceled flight with fellow travelers. Passengers can choose their preferred premium, view their estimated payout, and make their purchase in ETH or major fiat currencies – USD, EUR, and GBP. 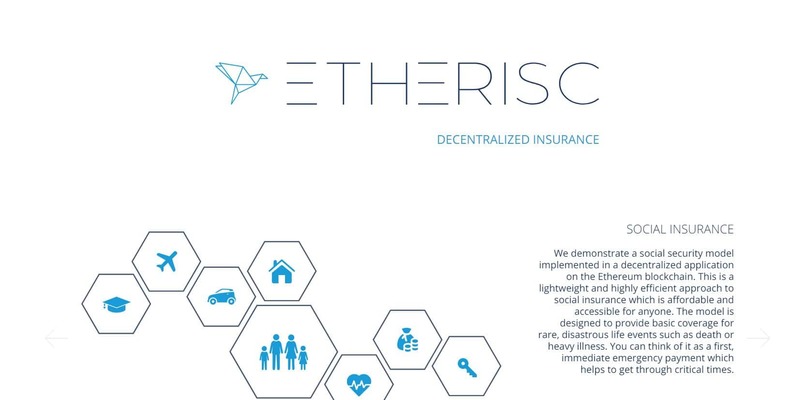 Unlike traditional insurance products, not only does Etherisc Flight Delay store insurance contract data on Ethereum blockchain, it acts as an autonomous risk bearing mechanism, risk pricing engine, claim administrator and a payment system. Devcon3, the key developers conference in the Ethereum community, will be held in Cancun, Mexico from 1 to 4 November. The conference will almost double in size this year, and host the world’s leading blockchain experts, emerging industry trailblazers, and aspiring developers. Devcon3 attendees can purchase Etherisc Flight Delay insurance up to 24 hours before their flight, and payouts are issued automatically to their Ethereum address or credit card, eliminating the need for travelers to deal with time-consuming traditional insurance claim processes. “Etherisc’s flight delay insurance is a prime example of how blockchain technology can disrupt traditional industries and challenge established players. We believe that decentralized insurance, which offers policyholders unprecedented transparency, efficiency, and fairness, represents the future of the industry,” said Karpischek. Etherisc is a selected upcoming project of Cofound.it, the leading platform for training the world’s most promising blockchain startups.